Why may someone need stomach surgery? What are the different types of stomach surgery? 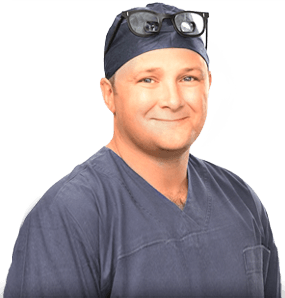 The most commonly performed stomach operations in Australia, are those performed to assist weight loss (bariatric) and may include the placement of an adjustable band, a bypass or sleeve surgery. Some small stomach tumours and polyps can be removed by endoscopic surgery. Larger stomach tumours can be removed by a wedge resection or partial stomach removal. Confirmed stomach cancers require most or all the stomach to be removed (depending on the position) and removal of all associated lymph nodes. How do I prepare for stomach surgery? Many people with stomach tumours have trouble eating or may have lost weight, ensuring adequate nutrition is important. Dietary supplements may be required or in rare cases a feeding tube prior to surgery. How is stomach surgery performed? Many stomach operations are now performed laparoscopically (keyhole) but some still require conventional open surgery, especially for stomach cancers. After the stomach is removed, the continuity of the intestines must be reconstructed by re-joining the small bowel to the stomach. What are the risks of stomach surgery? What happens after stomach surgery? After stomach surgery, close monitoring is required. An IV drip is required to provide medications and fluids. A urinary catheter is required to monitor kidney function and hydration. Abdominal drains, usually 2, are placed to remove excess fluid and check for leakage from bowel joins. Deep breathing can be painful so it is important to have adequate pain relief. Physiotherapy is important to help you move around early after the operation, as this reduces complications and aids early recovery. Hospital stay is usually between 5-10 days, depending on which operation you require. Will I be able to eat after stomach surgery? Initially food is withheld to allow the healing where the stomach has been stitched. A naso-gastric tube also helps decompress the stomach for the first 2-3 days, after this fluid are slowly reintroduced and then soft foods. Will I need to be followed up? Yes, the initial follow up will be after 2-3 weeks of leaving hospital. A further follow up at 6 weeks will be arranged and then every three months for the first year. Repeat endoscopies and imaging tests will be arranged at regular intervals. The cancer research UK website is an excellent source of information for patients with stomach cancer. See link below.